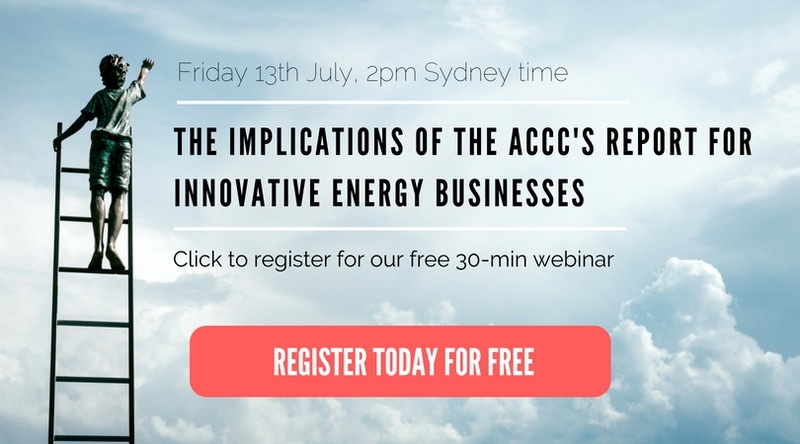 In this recent webinar, we looked at the implications of the ACCC Report for innovative energy businesses. As a valued Compliance Quarter client, you have access to the full video, transcript and slides from the webinar. While many incumbents have pointed to the lack of an enduring and stable climate change policy as a cause of investment uncertainty and underinvestment, at the same time, they have had little incentive to invest in new capacity when they are reaping the benefits of higher spot and future prices. Trends of complaints over time. Billing remains a significant issue. New categories of meter exchange. The reduced number of marketing complaints – will that rise? Expect to see embedded networks present their own issues. 1. Boosting competition in generation and retail. 2. Lowering costs in networks, environmental schemes and retail. 3. Enhancing consumer experiences and outcomes. The NEM can be restored to an efficient, fair and competitive market that works in the interests of end users. Technology innovations and declining costs are creating opportunities to expand the use of non-traditional methods of reducing peak electricity demand. Key technologies such as embedded (local) generation, battery storage and load control, when coupled with accurate information on customer load provided through smart meters, allow customers to take control of the volume and timing of their electricity use. Embedded networks regulation has been the subject of a number of ongoing reviews and analysis by the AEMC, AER and the Victorian Government. This has produced a number of recommendations designed to enhance competition and improve consumer protections for embedded network customers. An outline of these reviews, their findings and planned next steps is in appendix 3. The proposed changes include a range of measures designed to assist consumers, including better information disclosure, access to ombudsmen schemes and dispute resolution (which has been implemented by the AER and ESC Victoria) They also include provision for monitoring and enforcement and measures to improve access to competition within embedded networks. Given this extensive work already underway, the ACCC considers that improvements to the embedded network consumer experience will be made through these processes. The ACCC identified that smaller retailers were at a disadvantage when it came to using derivative contracts for hedging. Much hedging by energy business in Australia occurs not through the Australian Securities Exchange (ASX) but in ‘over the counter’ (OTC) contracts traded off-market, directly between two parties. Data collected by the ACCC demonstrated that larger retailers had far more options for hedge contracts than smaller retailers, likely due to the reduced credit risk that a larger business presents. Smart meters, which allow the remote reading of energy data and interval metering have proven to be a useful tool for newer retailers. They allow for the development of innovative, bespoke tariffs sensitive to the precise usage of the customer rather than the clumsier traditional accumulation meters. The Australian Government should operate a program under which it will enter into low fixed price (for example, $45-$50/MWh) energy offtake agreements for the later years (say 6-15) of appropriate new generation projects which meet certain criteria. In doing so, project developers will be able to secure debt finance for projects where they do not have sufficient offtake commitments from C&I customers for later years of projects. This will encourage new entry, promote competition and enable commercial and industrial customers to access low-cost new generation (recommendation 4). To watch a video of the recording, click here.